On his birthday, Uhm Tae Woong received the gift of sports shoes from Lee Bo Young. The Man From the Equator broadcast on April 4th, 2012 recorded the national viewership ratings of 10.2%. 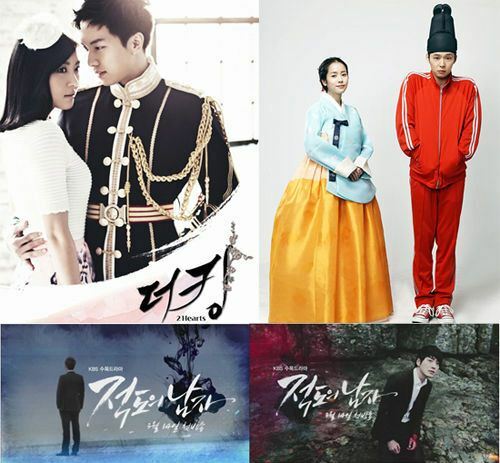 This was the first time the ratings breakthrough double-digit since the drama premiered. On the day’s program, Uhm Tae Woong won the praise by virtue of superb acting. In the drama, he meticulously portrayed the furious and pain of the protagonist after losing vision due to accident. The TV series premiered on March 21st, 2012, and has broadcasted 4 episodes. Although due to cast members are mostly child stars, and the impact from SBS’ Rooftop Prince and MBC’s The King 2 Hearts, its ratings have been lingering in the single-digit, but after the debut of adult actors including Uhm Tae Woong, the ratings are showing an upward trend. Uhm Tae Woong said, “Fortunately, the transition from child stars to adult actors is very natural. In fact, to more accurate interpret this growth process, there should be one more person between me and Lee Hyun Woo. He revealed that his appearance is much older than Lee Hyun Woo’s, provoking laughter. Man From the Equator which compliments the traditional love is a revenge drama that tells the story of Sun Woo (Uhm Tae Woong) falls out and becomes enemy with friend Jang Il (Lee Joon Hyuk) due to the death of his father. At the same time, it’s also a drama with the theme of love triangle between the two persons and Ji Won (Lee Bo Young) and eventually resolve their conflict through forgiveness.